You are here: Home › Membership › Why become a member? The Ladder Association’s training scheme is responsible for training thousands of people every year to work at height safely. With over two million ladders in daily use in the UK alone, and falls from height the number one killer in the workplace, the need for training is clear. 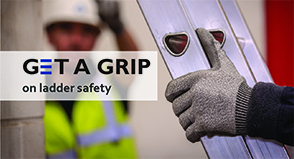 As a member of the Access Industry Forum (AIF), working closely with organisations throughout the work at height and health & safety industries, the Ladder Association is a respected professional body, and the LadderCard given to those successfully trained is known as an excellent way to help demonstrate the competence required by law. Become a training member now and your company will join leading training organisations, and have access to a proven, respected training course. 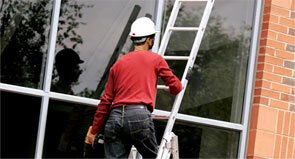 The Ladder Association works closely with a wide range of professional bodies who affect the manufacture of ladders. We have been consulted by the Health & Safety Executive as they crafted their ladder guidance, worked alongside Hire Association Europe (HAE) and Working Well Together, and had input into the standards and specifications of the British Standards Institution (BSI). Ladder Association manufacturing members therefore not only demonstrate compliance with ladder safety standards, they also have the chance to have an input into the creation of those standards. All members have the chance to join the Ladder Association Council and the Training Committee, both of which deal with major issues within the ladder industry and have worked with major industry bodies. Being a Ladder Association supplier member means that anyone interested in ladders instantly knows that your company meets minimum safety standards. The Ladder Association’s manufacturing members stand out from competitors by showing the commitment to excellence, safety and best practice that comes with being part of a renowned trade association. Associate Members come in various shapes and sizes. Some become associates to deliver training courses as freelance instructors training out of a training member’s centre; others want to keep up to date with the latest ladder industry news. Anyone with a vested interest in ladders can keep up to date with changes in the industry, new or updated regulations, standards and guidance, along with any other major news, by becoming an associate member. Our membership types are not mutually exclusive – some companies are training, manufacturer and supplier members. No matter the type of organisation, our online membership application form is available here.